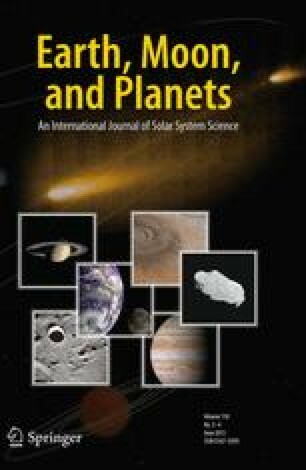 The accumulation of giant planets involves processes typical for terrestrial planet formation as well as gasdynamic processes that were previously known only in stars. The condensible element cores of the gas-giants grow by solid body accretion while envelope formation is governed by ‘stellar-like’ equilibria and the dynamic departures thereof. Two hypotheses for forming Uranus/Neptune-type planets — at sufficiently large heliocentric distances while allowing accretion of massive gaseous envelopes, i.e. Jupiter-type planets at intermediate distances — have been worked out in detailed numerical calculations: (1) Hydrostatic gas-accretion models with time-dependent solid body accretion-rates show a slow-down of core-accretion at the appropriate masses of Uranus and Neptune. As a consequence, gas-accretion also stagnates and a window is opened for removing the solar nebula during a time of roughly constant envelope mass. (2) Gasdynamic calculations of envelope accretion for constant planetesimal accretion-rates show a dynamic transition to new envelope equilibria at the so called critical mass. For a wide range of solar nebula conditions the new envelopes have respective masses similar to those of Uranus and Neptune and are more tightly bound to the cores. The transitions occur under lower density conditions typical for the outer parts of the solar nebula, whereas for higher densities, i.e. closer to the Sun, gasdynamic envelope accretion sets in and is able to proceed to Jupiter-masses.